Good morning everyone. Thank you for the outstanding response to our website (www.sierraband.com) we’re always putting up new pics and a new video here and there – this weekend we’re playing out on the beach at Pietro’s on the Ocean (www.pietrosontheocean.com) and on Saturday our regular gig at Paddy Mac’s (www.paddymacspub.com). Pietro’s is situated at the old Rotty’s – tremendous location right on the sand and the food is out of this world. My friends, Dr. Peter and Melanie Downing, local gourmands, report that the food is worth the drive out to the island. Well of course, and we’ll be there on Friday night 8 to 11. We’ve learned a bunch of new songs and in rehearsal this week we’re going to attempt something that is completely out of our wheelhouse – stay tuned to see how it worked out. Don’t forget about Xmas parties – get your requests in early – we are booked through November but I am leaving some dates open in December – if you are thinking about live entertainment let us know. 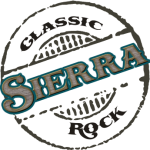 Thanks again for your response to the website – drop me a line anytime at sierraband@sierraband.com…. As my friend the ewe said – let the bleat go on!